Fans of the Switch and 3DS are proving that small studios can make a huge dent, with Inti Creates announcing that Blaster Master Zero has sold more than 100,000 copies across both systems. The action-platformer has proved a strong hit, recreating the original Blaster Master that was released for NES back in 1988. This news comes only a few months after Inti Creates announced that the game had sold over 80,000 copies worldwide, with commemorative wallpaper released to celebrate. This time around the company has celebrated the milestone with another free special wallpaper, which can be downloaded here. Due to the success of the game WayForward's Shantae joined the fight on the 6th July, with Yacht Cub Games’ Shovel Knight being added today (3rd August). The character is free to download for the first 2 weeks, but after that a purchase will need to be made. 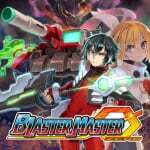 Are you surprised at the sales numbers for Blaster Master Zero? Let us know. Downloaded the demo on my 2DS XL, pretty solid title. Hopefully we get a good Blaster Master sequel because of this! Quick question while we are all here; does anyone else have issues with the HD rumble in Blaster Master 0? I was playing it in handheld mode with the sound off in bed. When i got hit, the buzz of the right joy con was so loud it woke my wife up! Doesn't seem right to me. Not sure if it's supposed to be like that or broken. Don't want to buy 1 2 Switch just to test the rumble. Any advice would be great! @ryando - Mine's like that too. I think they just overdid it. This was a very good game (have it on the 3DS) but a tad buggy, got the true ending and it didn't unlock the extra modes. That sounds surprisingly low to me to be honest. The game is really good. I just finished my first playthrough and plan on one more before I try the dlc characters. This game is a blast! Ha ha, no pun intended. Just downloaded my free Shovel Knight, I'd say the game is really good value for it's cheap price. If you're looking for a solid old school style action game then I highly recommend it. I skipped this initially, but I was convinced to pick this came up when they announced the free DLC characters. I figured I should jump on it while they were still free. I was surprised at how much fun the game actually is. @FragRed I was thinking the exact same. The game far and beyond deserves all the sales it can get. Do we know which platform performed what? Got the true ending last night. It really is a fun game. I started playing it while watching TV and got invested enough in it that I stayed up for a few hours playing it on the TV while I found all the stuff I missed on my first run. Have I mentioned how much I love the Switch and its wonderful versatility? That wallpaper really is nice. I think I'll put it on my work computer. I bit when Shantae was added and have poured a decent amount of time into it. Will be sure to download Shovel Knight, too. Journey to Silius next please!!! Well deserved too. Good game. BM was one of my favorite childhood games and this remake was a godsend. Loved Shantae and can't wait for Shovel Knight! @FragRed Well, it's neither an AAA title nor a dollar app. But I agree, it's nothing particular to brag about aside from getting free publicity. I don't see a particular need of getting updated for every bidecamillenia of sales numbers. It's well above the average sales on console digital storefronts. It's a short, retro action game so I could see making a solid profit on sales like that. Your math is uhhh....pretty interesting. It's a 9.99$ game and I do not believe it has been on sale yet. Before Taxes and Nintendo's cut they would be at 999,000$(Assuming all countries pricing is equivalent to 9.99 USD) min revenue. Naturally taxes and Nintendo's cut would take a decent chunk out of that but still. It's a fantastic piece of a retro remake. Any Switch owner who hadn't play it yet, I guaranteed you will enjoy it. I absolutely love this game and highly recommend it. IntiCreates has been nailing it lately. Can't wait for Azure Striker Gunvolt games on Switch. Surprises me that Street Fighter would sell 3x this. I downloaded the demo, loved it and I had to buy the full game. Played the original on Wii VC but I never beat that one. Better download shovel night. @WOLF1313 I agree with you. Street Fighter 2 has been released how many times? I am surprised people are still buying what is essentially the same game from the early 90s. Love BM0 obviously. They'll hit 200,000 before the Switch hits 1 year easily! I'm sad I missed the first 2 characters when they were free . Are they any good to play with? @DarkmarkUnited Your math is a little bit off. It amounts to around US$800,000. I imagine that Nintendo takes a 20-30% cut, though. I would get it if the developers deserved it, but they don't because of how they treated their fans and customers in Europe regarding Azure Striker Gunvolt. It's incredible that Azure Striker Gunvolt: Striker Pack is coming to Switch 31.8.2017 and the 1.3. version is still not in Europe for 3DS, and also the physical Striker Pack is nowhere to be seen in Europe for 3DS. There's apparently even a damn 1.4. version available for North America while Europe is still stuck in 1.2.! NA got 1.3. in October 2016 and 1.4. in December 2016. I bought Blaster Master Zero for 3DS and defeated the last boss! I didn't buy it at all. I'm special I guess. @Pikachupwnage Oh wait what? Sorry, I thought I got the price from an american Nintendo site. @Pikachupwnage Yup, I see how you did it, I'm sorry for that but you are also not correct, however it's not your fault. @Pikachupwnage the price for the game has been moved up from 9.99 to 12.49 now if we did what you did except put in the 9.99, the price without everything you said is $1,249,000. Have yet to buy this, but I've been meaning to. After this article I think I'm gonna be buying this today. I'm gonna have to get it on my 3ds though mainly because it travels with me everywhere lately so I figure I'll get most of the playing time out of that. Any other "download only" titles I should check out? Kirby's Blowout Blast anyone? I got a $20 e shop card so I'm trying to spend the rest of it. In America the price is still 9.99(just logged into eshop). Is that the Canadian price? Regardless I did acknowledge that prices wouldn't necessarily be exactly the same between regions so that was more of a estimate than a exact number. @Pikachupwnage No. This is according to the Nintendo US eshop site.